Dolapo Badmus gets promoted to Zonal PPRO incharge of Lagos and Ogun State – Royal Times of Nigeria. Former Lagos state police PRO SP Dolapo Badmos has been appointed as the zonal police PRO for Zone 2 by the Assistant Inspector General of Police in charge of Zone 2 AIG C. K. Aderanti. Her appointment which takes effect from March 10, 2017 will see her supervise the Public relations department of both Lagos and Ogun state police commands. 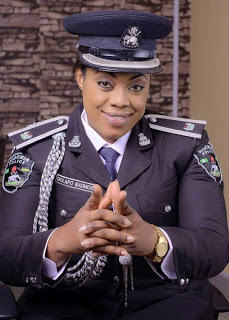 Her promotion is connected with her qualitative performance when she held sway as the police public relations officer for Lagos state command. Dolapo is an astute member of the Nigeria institute of public relations, a graduate of accounting and a post graduate degree holder of public administration. She is married with kids.